Athletes looking for a way to maximize their training results may have heard of the Paleo Diet for Athletes. While misunderstanding abounds, the Paleo Diet is founded on the type of foods our hunter-gatherer ancestors lived on many thousands of years ago. With a few modern tweaks, the Paleo Diet for Athletes can provide a competitive edge, allowing for greater muscle build-up with decreased recovery times and thus increased performance. Scientific studies continue to demonstrate its safety and efficacy. At its heart, the diet’s philosophy is very simple: consume the types of foods that the human body evolved to consume. 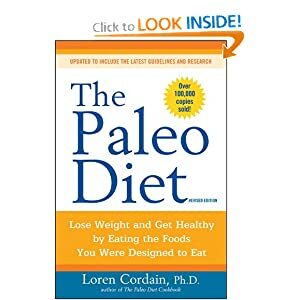 In the words of the diet’s creator, “the optimal diet for the athlete is the same one that we as Homo sapiens have thrived on for nearly all of our existence on the planet – a Paleolithic, or Old Stone Age, diet, albeit one slightly modified to meet the unique demands of athletes”. The Paleo Diet follows a low-carbohydrate, high-protein plan, but for athletes, it also takes into account the need for glycogen restoration after exercise. While similar to some other diets, “the greatest differences of what we propose here may be found in the timing of carbohydrate and protein ingestion, especially branched-chain amino acids; selecting foods based on glycemic load at certain times relative to training; the base-enhancing effects of our diet on blood and other body fluids; and periodization of diet in parallel with training”. In this way, the diet is organized to best benefit training and cut down on recovery. Athletes should be clear that this diet is very different from the traditional high-carbohydrate diets espoused by most trainers. In fact, athletes will need to forego most all carbohydrates since “grains, like dairy products and refined sugars, were not part of the native human diet”. The diet is founded on consumption of “healthful fruits, veggies, lean meats, and seafood”. Dietary strategies are intended to increase performance and for overall health; this is not a weight-loss diet, despite that followers do lose fat and gain muscle. The Paleo Diet for Athletes offers a competitive edge to those who follow it. The diet evolved through training needs thus maximizes athletic performance. Researchers “found this way of eating to be ‘ergogenic,’ a term exercise physiologists use to describe nutritional supplements that can enhance athletic performance”. It “is high in animal protein, which is the richest source of the branched-chain amino acids – valine, leucine, and isoleucine…potent stimulants for building and repairing muscle”. It provides the building blocks for muscle growth and repair, essential to any serious athlete. It offers several other benefits. The diet “prevents muscle protein breakdown because it produces a net metabolic alkalosis.” The foods commonly eaten by Americans are acidic. To neutralize an acidic diet, the body breaks down muscle tissue, obviously bad for athletes wanting to build up muscle stores. Since the Paleo diet is net-alkaline, the body has no need to break down muscle tissue. In addition, the diet also protects health. All the fruits and vegetables provide a rich array of vitamins, minerals, and phytochemicals, which promote immune-system function. Indeed, researchers have found that “the frequency and duration of colds, flu, and upper respiratory illnesses are reduced when athletes adopt the Paleo diet”. Athletes build muscle faster, don’t break it down, and bolster their immune systems at the same time – all good things for performance. The key to the Paleo Diet regimen is its tailoring to the athlete’s training schedule. In “recognition that consumption of starches and simple sugars was necessary and useful only during exercise and in the immediate post-exercise period,” it allows athletes to ingest certain carbohydrates only when it best suits them for training, in the pre- and post-exercise windows. At all other times, “eat as much lean meat, poultry, seafood, fresh fruit, and veggies as you like”. Thus, the diet is high in protein, but because of the preference for lean proteins, saturated fat consumption is lower than some may expect. The Paleo Diet is not the high-fat Atkins diet; it preferences the “good” fats such as omega-3 fatty acids, which lower cholesterol and protect health. Foods barred from the diet include “cereal grains, dairy products, high-glycemic fruits and vegetables, legumes, alcohol, salty foods, fatty meats, refined sugars, and nearly all processed foods”. Instead, athletes eat low-glycemic fruits and vegetables, which provide the vitamins and minerals that are so helpful for those lost during exercise. But in recognition of depleted glycogen stores, “Immediately before, during, and after a workout or competition, certain non-Paleo foods should be eaten to promote a quick recovery”. Eat at least two hours before exercise, consuming 200 to 300 calories per hour prior to the start of the event (so 400 to 600 calories if two hours before or 600 to 900 calories if three hours before). These should be low- to moderate-glycemic-index carbohydrates that are also low in fiber. If exercise lasts less than an hour, no carbohydrates are needed during the event. If lasting for more than an hour, athletes should consume high-glycemic-index carbohydrates during the event, in the form of sports drinks. Within thirty minutes of completing a competitive event or long/intense exercise period, athletes need to consume both protein and carbohydrates in a 45:1 ratio. Commercial protein shakes are an easy choice, but home-made ones work just as well, so long as they’re consumed within thirty minutes. For the post-exercise period, up to the amount of time spent exercising, athletes should continue to eat moderate- or high-glycemic-index carbohydrates along with protein, at a ratio of 45:1. During this time, athletes may eat non-Paleo foods like bread, pasta, or other glucose-rich foods. After this stage, athletes should return to eating according to the Paleo Diet – lean proteins and low-glycemic fruits and vegetables. The Paleo Diet has been helping athletes improve performance for more than ten years. It’s heavily based on science and proven effective in the real world of athletics, yet many still balk at the notion of eating as our ancestors did. Studies of remote populations, of people who follow much the same diet as Paleo advocates, reveal some sobering information. For example, “despite diets rich in animal foods, these people have healthful blood cholesterol levels that leave the average Westerner in the dust”. High blood pressure is rare, as is obesity. These populations don’t have many diseases of the Western world. That current scientific data is confirmed by historical accounts written when Westerners came into contact with hunter-gatherer societies. Recent medical studies bear out the effectiveness and safety of low-carbohydrate diets. Studies published in the New England Journal of Medicine have demonstrated that low-carbohydrate diets cause lower cholesterol, improved glycemic control, improved insulin sensitivity, improved triglyceride levels, as well as better weight loss when compared to other diets. These studies, conducted over years, also dispel the persistent myth that low-carbohydrate diets are deleterious to health. All of this data shows that the Paleo Diet for Athletes is the best way to bring diet in line with training goals to achieve optimal results. Hello there, I discovered your blog by means of Google at the same time as looking for a similar matter, your website came up, it looks good. I have bookmarked it in my google bookmarks. I definitely wanted to construct a brief message so as to say thanks to you for all the splendid points you are giving out on this website. My time intensive internet research has at the end of the day been paid with reputable strategies to share with my guests. I ‘d declare that we readers are very much endowed to live in a remarkable site with very many lovely professionals with good principles. I feel very much fortunate to have discovered your entire webpage and look forward to plenty of more fun moments reading here. Thank you once more for a lot of things.